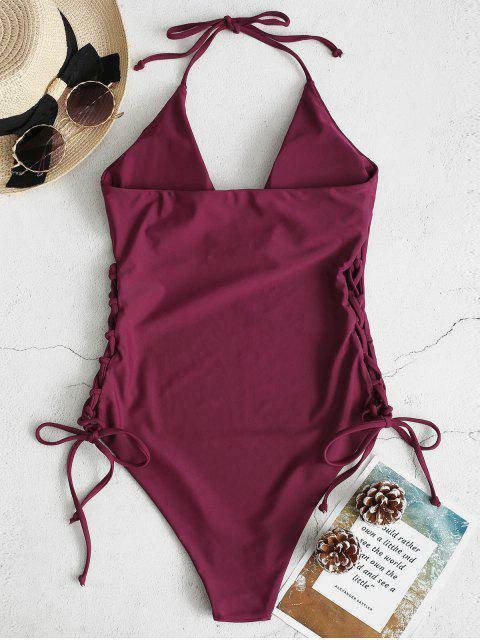 [26% OFF] 2019 ZAFUL High Cut Lace-up Halter Swimsuit In PLUM VELVET | ZAFUL .. I normally use S but bought an M after seen peoples reviews and it worked perfectly to me. 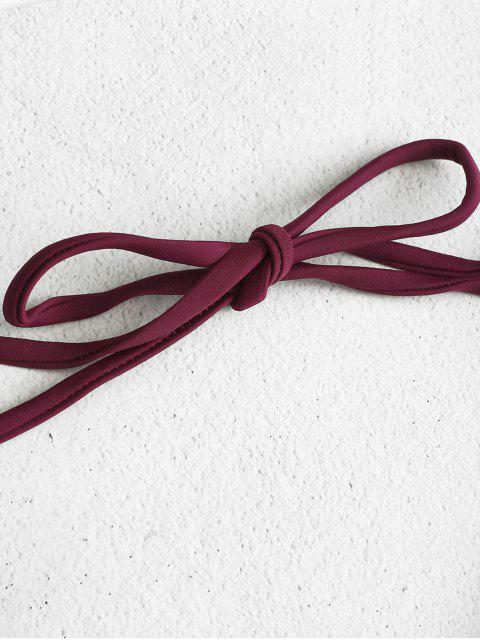 Good quality and fits well. Super recommended. Adjustable lace-up details at both sides slim the silhouette of this solid one-piece swimwear featuring a self-tie halter collar and high-cut legs to elongate the figure. The plunging front cut adds much allure. Not underwired design, but round pads inserted for lift.